Update (April 11, 2019): Releases of 400cfs were initiated from the Jamestown Reservoir and approximately 6 from Pipestem. 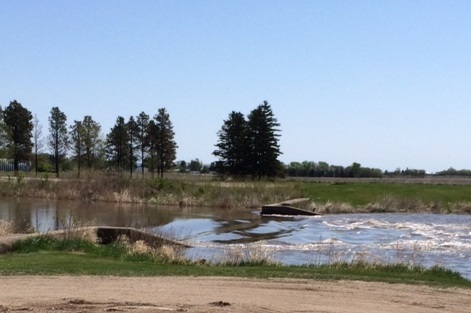 The total combined release will not significantly impact stages at streamgages below Jamestown, ND. Please be aware of snow and water covered roads in LaMoure County. The flood stages of the James River at LaMoure are: Action Stage – 12 ft, Minor Flood stage – 14 ft, Moderate Flood stage – 16 ft, and Major Flood stage of the James River begins at 18 ft.